Special Night at Tula’s tonight! Tonight will be a special evening at Tula’s. The club’s owner, Mack Waldron, is receiving a “Jazz Hero” award from the Jazz Journalists Association; he’s one of two dozen jazz advocates around the country chosen for the honor. At the bottom of this email, you can read Mack’s bio, put together by KPLU host (and JJA board member) Robin Lloyd. What isn’t mentioned, and is unknown to many people, is that Mack kept Tula’s open when it wasn’t in his financial interest to do so; he knew the club’s importance to the local jazz community and didn’t want to let down the musicians who play there. He’s also probably the only jazz club owner in the country who tunes his own piano, almost daily, and very well. 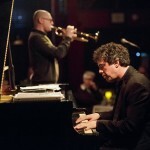 It’s always a treat to play there, and the jazz scene wouldn’t be nearly the same without it. I’m honored that Mack chose my trio to help celebrate his well-deserved award. At 6:30 the award presentation will take place, then at 7:30 my trio will hit the stage. It’s my Standards Trio, with bassist Jeff Johnson and drummer D’Vonne Lewis. None of the music is pre-arranged, and Jeff and D’Vonne always manage to surprise me (which is what spontaneous arrangements are all about). Thursday, April 30th, Tula’s (www.tulas.com), $10 cover. I’m guessing it will be a full house, so reservations are a good idea; while you’re at it you can pick your own seat. I wouldn’t be surprised if some of the city’s best players stop by and sit in. Highly recommended. 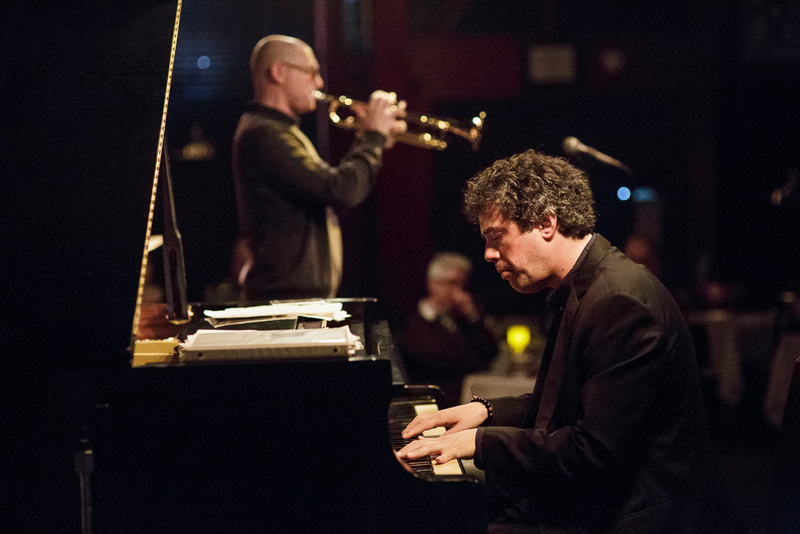 Elliott “Mack” Waldron is the proprietor of Tula’s Restaurant and Jazz Club in Seattle, which for two decades has featured local and regional jazz musicians seven nights a week, filling an important cultural niche here. Seattle is just lucky enough to be Waldron’s wife’s hometown. To explain: Mack began his personal association with jazz in his youth. He played in his high-school jazz band in Kilgore, Texas (in the northeastern part of the state), and continued when he attended Kilgore Junior College. He enlisted in the Navy, joined the band and eventually becoming a bandleader – making that his career for 26 years. He was stationed at Sand Point Naval Base on Lake Washington when he retired, and he and his wife Tula (yes, the club is named for her: it’s a diminutive of Demetra) decided to stay. At first, Mack worked booking musical acts, but then he decided to plunge into the business directly. “It had always been my dream to own a jazz club,” he’s said. Mack knows his jazz. In the service he’d been considered a players’ bandleader, and today he’s considered a players’ club owner. He books the bands, treats the musicians well and in turn is well respected by the musicians he hires. “We have a mutual admiration,” he says. “I admire them for their musicianship, and I think they do appreciate me for providing a venue for them to perform.” He acknowledges difficulties in keeping Tula’s open for the past 21 years, but has always accepted them as a personal challenge. He’s quick to credit the support of his family and abundance of highly talented players in the region for the club’s success. 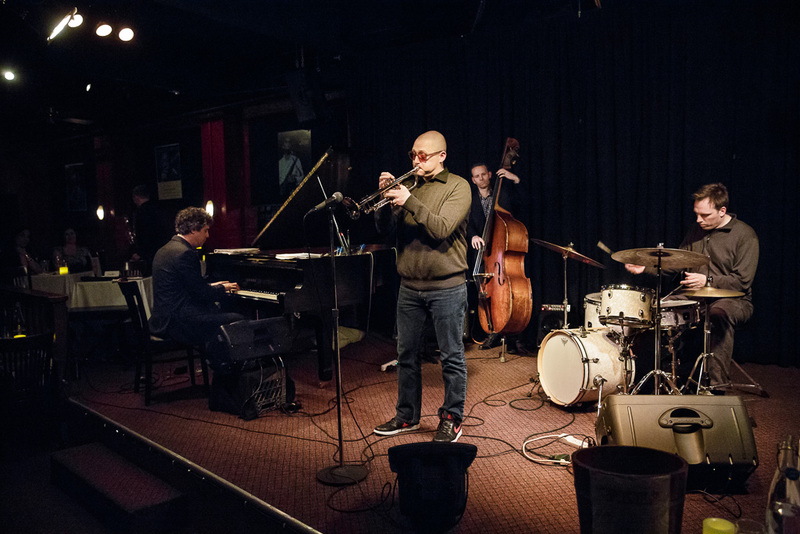 Wynton Marsalis has ranked Tula’s among his top 10 clubs in the nation for USA Today, saying “This is a cool place.” Tula’s has been featured in DownBeat’s guide to the world’s “150 Great Jazz Rooms,” too. Mack has been honored with Seattle’s Earshot Jazz Golden Ear Award for providing a key showcase for our local musicians. And he’s trying to make sure there are more of them to come. In support of music education, Mack invites high-school bandleaders to bring their bands to the club. “Seattle has a wealth of good high-school band directors and music teachers,” he believes. “The parents are also very supportive of music education. We have a wonderful education system here. 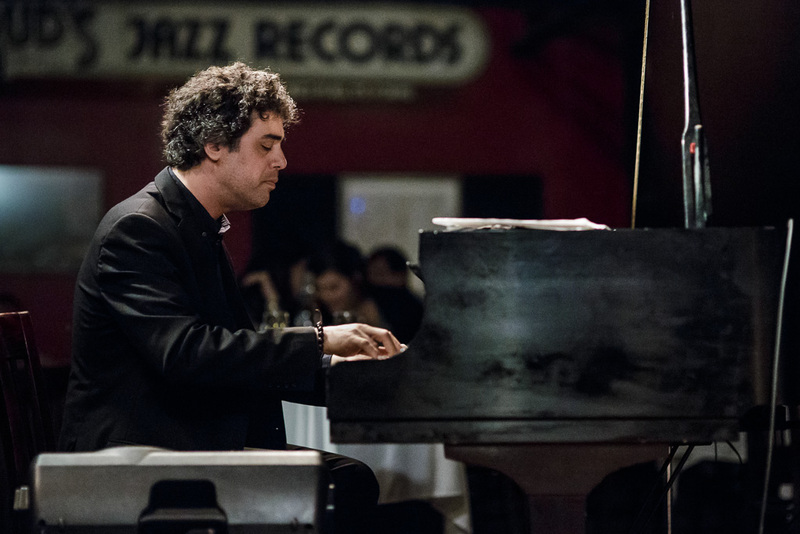 It’s very exciting to participate and I feel like I’m contributing something to further young musicians in the Seattle area.” Which makes Mack Waldron a Jazz Hero for everyone in hailing distance, and even further. 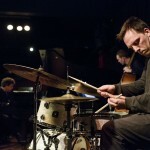 Pianist George Colligan will be performing Friday night (May 1) at Tula’s Jazz Club in a bit of a different role … as the drummer in his new project Theoretical Planets. The show is a CD Release for their new recording, Risky Business (Origin Records). Check out the video here from the recording session. Spike Wilner at Tula’s tonight! 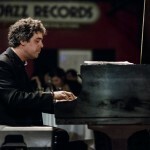 Jazz pianist and impresario Spike Wilner takes the stage at Tula’s Restaurant & Jazz Club tonight for one night only! 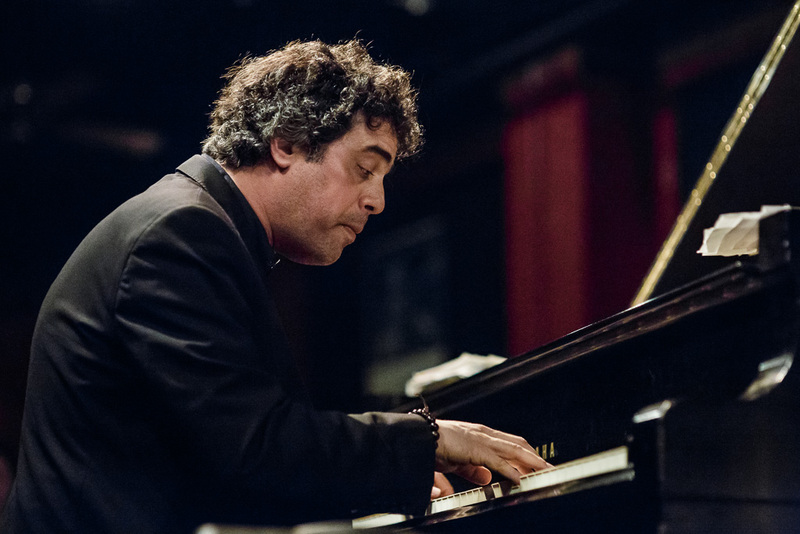 In addition to being a top-flight pianist, Wilner is owner of two New York City jazz clubs, Smalls and Mezzrow. Joining Wilner is Michael Glynn (bass) and Matt Jorgensen(drums). Opening the show will be a set by the fantastic young saxophonist Santosh Sharma and his trio. This week on Jazz Northwest we’ll sample some new and recent recordings including a new old one from 1962 being issued for the first time! 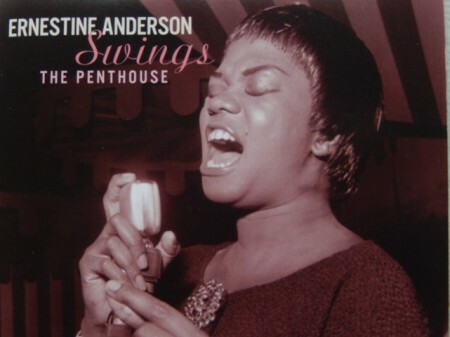 Ernestine Anderson was just 34 years old and in the first bloom of her career when she sang at The Penthouse, a Pioneer Square jazz club where Jim Wilke was producing a weekly live and direct broadcast on KING-FM. The aircheck of the broadcast is the source for this new first time issue on a HighNote CD. 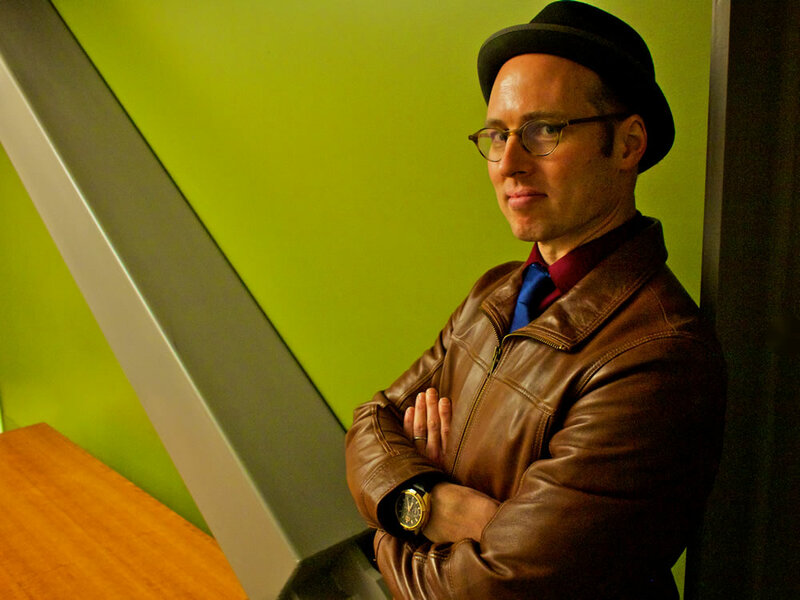 Also this week: Barney McClure with the Central Washington University Jazz Band, Pearl Django, Tom Collier, and a preview of the Ballard Jazz Festival (May 6-9) and best bets for live jazz in the coming week. Jazz Northwest is produced by Jim Wilke exclusively for 88.5 KPLU and kplu.org. The program airs at 2 PM Pacific and streams at kplu.org. A podcast is available after the broadcast. Springtime brings the possibility of better weather ahead, but it also signifies something more important for local creative music fans: the Improvised Music Project’s (IMP) annual festival. This year will be the seventh IMPFest, and it promises to be one of the strongest yet. Featuring on successive nights guitarist Bill Frisell, saxophonist Chris Cheek, and iconic jazz bassist and composer Steve Swallow, all in tandem with students and professors from the UW Jazz Studies program, the three-day festival will take place May 1 through 3. 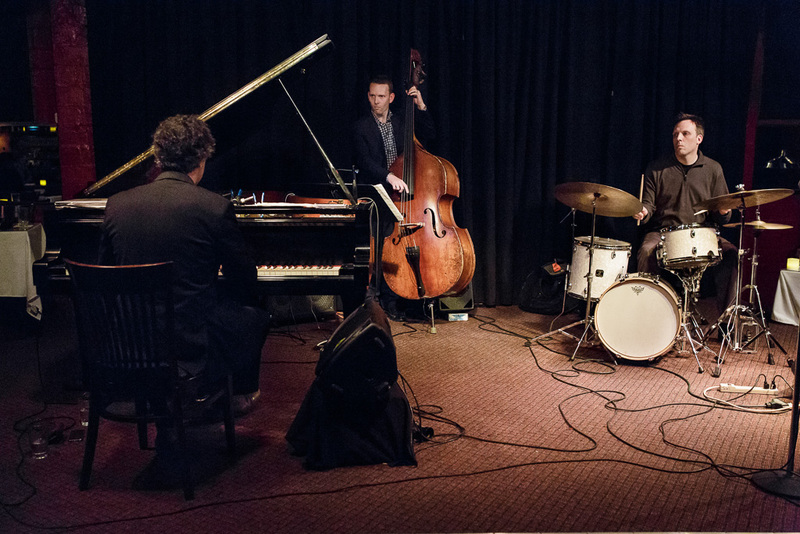 Each passing year brings further evolution and deepening of the UW Jazz Studies ecosystem, which encompasses the Racer Sessions at Café Racer, the Table & Chairs record label, monthly showcases at Café Solstice, and much more. The IMP acts as an anchor for these multiple streams of musical expression, linking the UW Jazz Studies program to the local community. UW professor and acclaimed trumpeter Cuong Vu was inspirational in encouraging students to extend their view of learning beyond the classrooms and practice spaces, and provided the spark and support for the formation of the IMP in 2008. “Improvised Music Project” is a bit of a misnomer, as the range of approaches and styles explored varies greatly, from full-on free jazz improvisation all the way to intricately structured forms, with plenty blending in between, including experimental rock and hyper-eclectic hybrids. Compositional strategies seem to be as central an element of IMP activities as improvising. 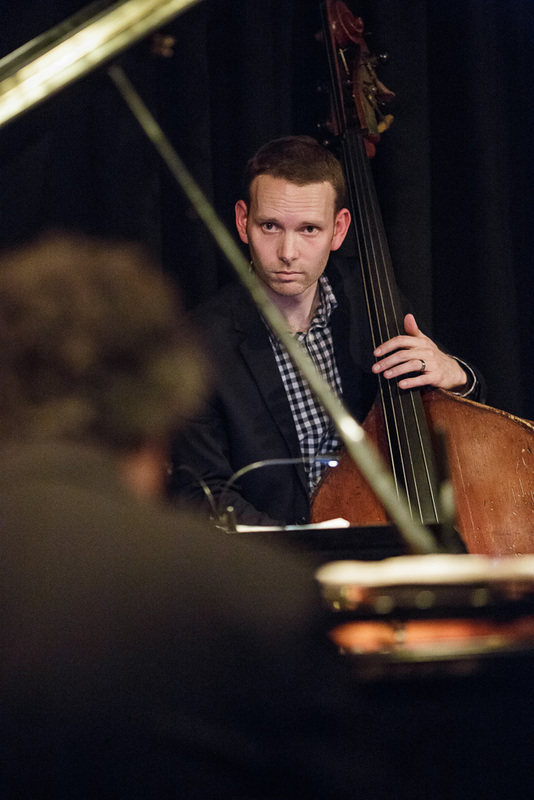 As UW graduate student and IMP member Gregg Belisle-Chi points out, all the UW faculty have themselves collectively been involved in a tremendous number of different facets of jazz expression. This eclecticism becomes a part not just of the educational philosophy of the Jazz Studies department, but also the very DNA of the scene, as each new batch of students bring their own proclivities and talents to the mix. “They pull out of the students what the student is already interested in, and a good student is open to anything and everything,” says Belisle-Chi. In recent years, IMPFest has seen an increasing emphasis on student participation with guest artists. Students are assigned ensembles with teachers and guest artists. The shows will culminate with guest artist sets accompanied by a shifting “house band” led by Jazz Studies faculty Bill Frisell, Cuong Vu, Ted Poor, Richard Karpen, and Luke Bergman. Night 1 of IMPFest will feature Frisell, America’s eclectic maverick of creative guitar. One of the most sought-after musicians across the music spectrum, Frisell has a well-deserved mountain of accolades and acclaim. Ranging from pastoral Americana to unhinged flights of noisy improv, Frisell’s influence as both a guitarist and a composer is inescapable. 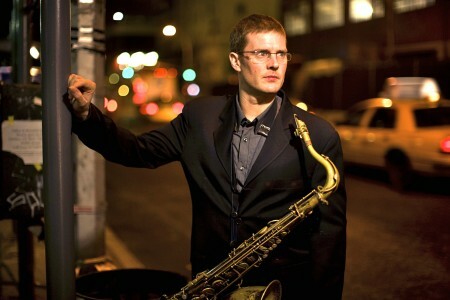 Night 2 brings to the stage St. Louis-born (and NYC resident since 1992) saxophonist Chris Cheek. 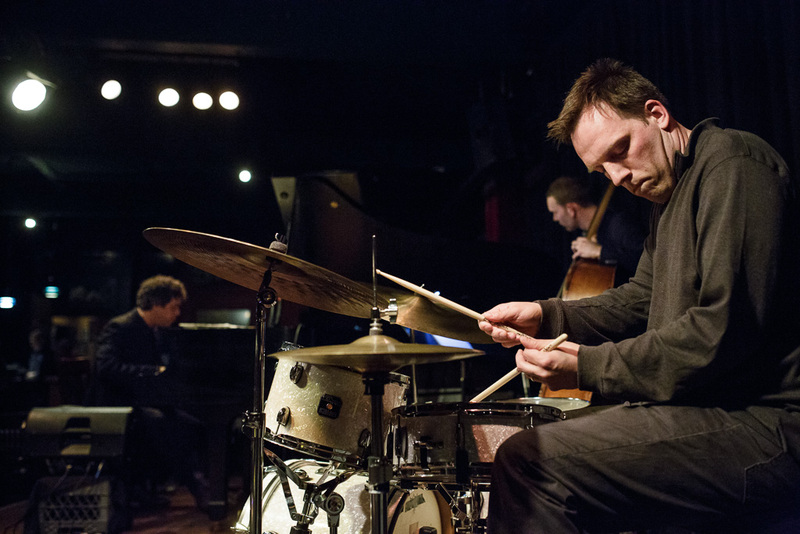 Cheek’s impressive resume includes a number of superb solo albums on the influential Spanish label Fresh Sound, collaborations with Brian Blade, Kurt Rosenwinkel, Guillermo Klein, and many others, and many brilliant recordings with groups under the late drummer Paul Motian. Closing out the festival on May 3 will be Steve Swallow, a legendary figure in jazz. Swallow started his career in 1960 with pianist Paul Bley and was one of the genre’s very early adopters of electric bass. He has developed an utterly distinctive tone and guitar-like approach (he even plays with a pick), and is known for his complex and lyrical solos. 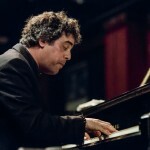 He is also a key composer in the post-Great American Songbook jazz repertoire, with many of his compositions such as “Falling Grace” entering the must-play canon for aspiring musicians. Bill Evans, Jim Hall, Chick Corea, and many others have covered his pieces. Swallow is also well known for long-running musical partnerships with vibraphonist Gary Burton, guitarist John Scofield, and pianist/composer Carla Bley, among many others. IMPFest VII is not to be missed: A priceless opportunity for students, and riveting listening experience for the audience. Tickets are $20 for general admission, $12 for students and seniors. Tickets and more information available at artsuw.org. 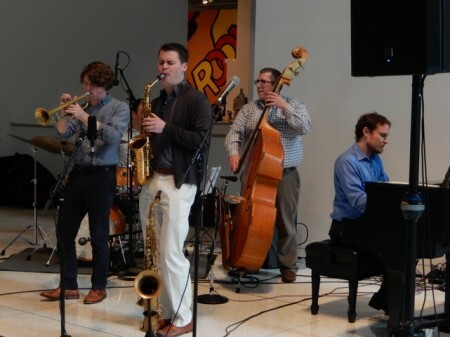 Continuing a series of unique live-on-location recordings for Jazz April, the Jacob Zimmerman Quintet plays music of the 40s in an Art of Jazz concert on Jazz Northwest, Sunday, April 18 at 2 PM Pacific on 88.5 KPLU and streaming at kplu.org. The quintet takes on some challenging music from the transitional period which saw jazz morph from swing to bebop. Composers range from Benny Goodman’s guitarist Charlie Christian to Tad Dameron and Charlie Parker. Joining saxophonist Jacob Zimmerman are Raymond Larson on trumpet, Jake Swenson on piano, Nate Parker on bass and Phil Parisot on drums. 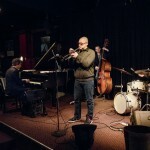 The concert was presented by Earshot Jazz in cooperation with the Seattle Art Museum in the Art of Jazz Series. The free concerts are held in the Brotman Forum on the second Thursday of each month from 5:30 to 7:30. Next in the series is singer/songwriter Ana Velinova on May 14. 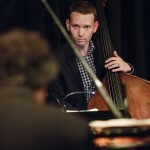 Jazz Northwest is recorded and produced by Jim Wilke exclusively for 88.5 KPLU and kplu.org. The program airs Sunday afternoons at 2 PM Pacific and is available as a podcast following the broadcast. Tickets to the 2015 Ballard Jazz Festival are now on sale. The festival runs May 6-9, 2015, with six events packed over four nights. The festival kicks off Wednesday with 2 nights of themed events at Ballard Avenue’s Conor Byrne Pub – the BROTHERHOOD OF THE DRUM, featuring four bands led by acclaimed drummers such as Gene Coye from Los Angeles and Bellingham’s Julian McDonough, and THE GUITAR SUMMIT, with a creative mix of guitarists including New York’s Peter Bernstein, and Northwest icon, John Stowell. The perennially-packed Friday night BALLARD JAZZ WALK features many of the Northwest’s finest jazz musicians along with visiting artists. One ticket covers 19 bands in 9 venues along historic Ballard Avenue with their doors open to streets full of jazz lovers. Artists include the Overton Berry Trio, Pearl Django, Dawn Clement Trio, Doug Beavers Latin Jazz Group, Roxy Coss Quintet, Michael Zilber Quartet, Gail Pettis, Sarah Partridge, Table & Chairs Label Showcase, Kareem Kandi, Gavin Templeton Group, Jay Thomas’ Cantaloupe, and more. New for this year is a special FRIDAY EVENING CONCERT at the Nordic Heritage Museum. 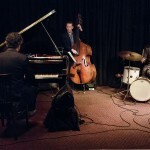 Featuring New York guitarist Peter Bernstein’s Trio and legendary bassist David Friesen with his Circle 3 Trio, the evening is hosted by PRI Jazz After Hours broadcaster, Jeff Hanley. Saturday’s events start at 11:00am with the Thomas Marriott Quartet performing at the SWEDISH PANCAKE JAZZ BRUNCH at the Nordic Heritage Museum, along with a classic auto show presented by Washington’s vintage Volvo/Saab Sports Club. The evening’s MAINSTAGE CONCERT is hosted by Seattle jazz treasure Jim Wilke and features performances by the saxophone titan Eric Alexander, with the Peter Bernstein Trio, and New York composer/saxophonist Lucas Pino’s No Net Nonet. Prior to the concert will be a reception and a showing of 1970s jazz photographs from New York photographer Tom Marcello. 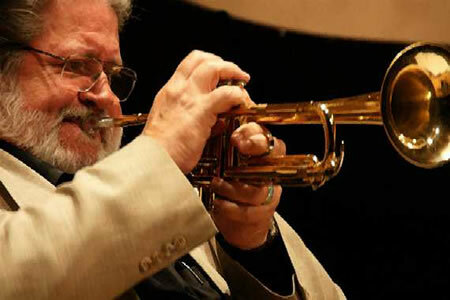 Trumpet legend Bobby Shew will be appearing at Tula’s which a quartet of Northwest veterans (Marc Seales, piano; Phil Sparks, bass and Matt Jorgensen, drums) this Thursday, April 16. The show starts at 7:30pm and tickets are $15.00 (Tula’s is all ages for the first show – Reservations: 206-443-4221). THURSDAY, APRIL 16 – ONE NIGHT ONLY!